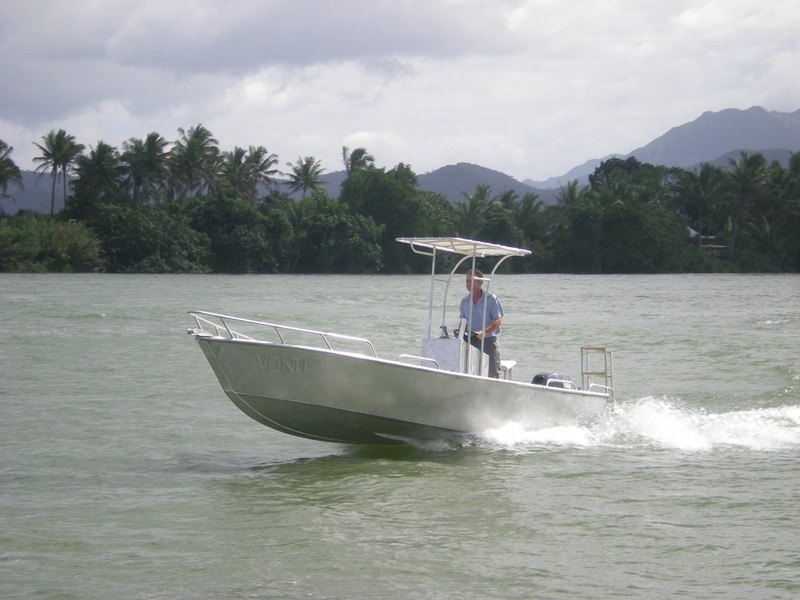 Bluewater Long Boats are perfect in protected and semi-protected waters, or short distances in the open seas. With sizes ranging between 20' - 25' and able to handle engines up to 115 hp, the Bluewater long boat range is an ideal mode of transportation when you want to move passengers and materials quickly and efficiently from Island to Island. Built to any specification that you desire, Bluewater Long Boats can be made with, or without a centre console.